La Salle Technical College school band participated in the Don Bosco Technological Institute's Battle of the Bands competition across three days (21-25 August). The band was required to perform different songs on each day under the categories of traditional, contemporary, international and local. They were also asked to compose an original song which was based on the DBTI Foundation Week. The 'La Salle Spiders' placed a commendable 6th place amongst sixteen bands who also participated in the competition. The college is incredibly proud of their efforts and the commitment and dedication shown by the band members throughout the competition and performing for the Book Week celebrations. On Tuesday of last week, two teachers arrived at La Salle Technical College from St. James College, East Bentleigh, Melbourne. We were delighted to have Deputy Principal Mr Patrick Janes and English teacher Mr. Francis Cormick, teaching Year 9 and 10 students. On Wednesday afternoon, they delivered a great in-service session for all the teaching staff on "The 12 Virtues of a Good Teacher". 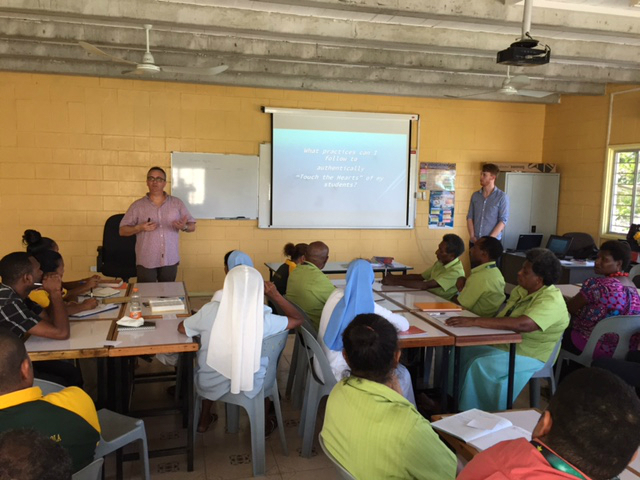 On Friday, they were joined by teaching staff from La Salle Technical College for the Day of Recollection at Atlas Bay Beech. La Salle Technical College Hohola, PNG and St. James College, East Bentleigh have a longstanding history, with St. James College providing financial support for many years to the College. The school has supported the Breakfast Club with contributions towards the school bus and improvements to our sports facilities. It is a pleasure to have had these two men stay at the La Salle College and we hope teachers coming to PNG from St. James College becomes an annual occurrence. Over the past two weeks, the final year students from Tourism and Hospitality have been learning restaurant and hospitality skills while making use of the school hall, they have arranged tables, drinks, and cutlery and have also practiced how to serve the customers. 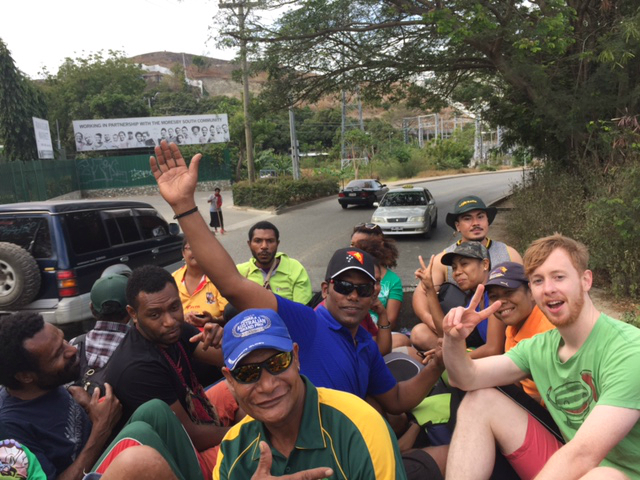 About: Br Antony is the Principal of the Hohola Youth Development Centre in Papua New Guinea.